From what I read online Wondercon was a massive hit per usual and PAX East is shaping up to be a lot of fun. I am currently in my convention drought and won't be joining my fellow nerds until this summer at San Diego Comic Con. Speaking of which, best of luck on securing a hotel on April 4th! Always a stressful time for the nerds. 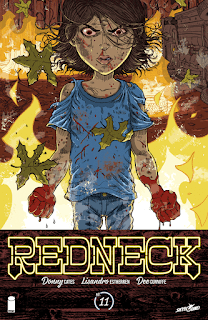 Redneck #11 - This has been one of my favorite series of recent memories and this issue is a solid reminder of why you all should be reading it. Redneck is about rival families of vampires set in Texas not too far from where I live. Perry has always been an intriguing character. She always seemed like more than just a vampire, and it was odd how everyone seemed afraid of her given her young age. After what unfolds in this issue I completely understand why the other vampires fear her and her abilities. I won't spoil anything, but we learn a very interesting tidbit about how she was turned and a familiar face that I wasn't expecting to see made a late appearance. I fear for what is about to transpire and am now officially Team Perry. 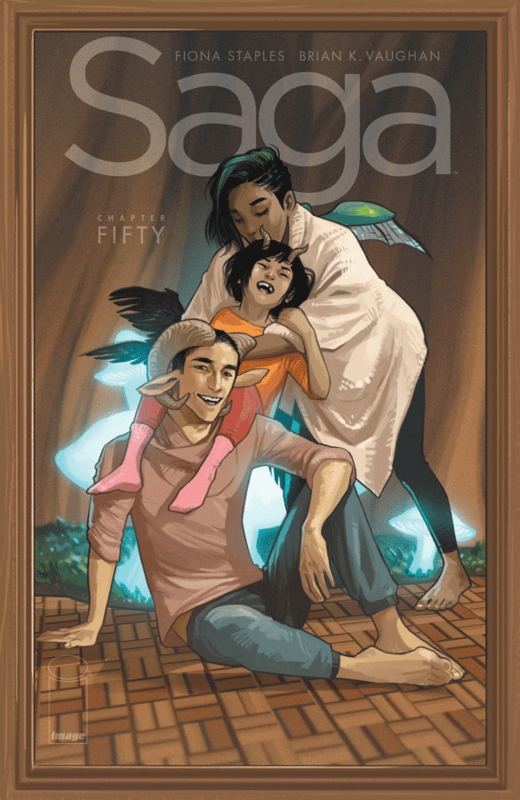 Saga #50 - Has it really been 50 issues so far? This series is an absolute delight and this issue opens with a reminder that Brian K Vaughan has no plans for this story reaching the big screen or the small screen. I recall an interview hyping Saga and him stating that he wanted a series that would not be optioned for television or for a film. He has managed to include scenes that are too much for the televised world yet seem very appropriate to the story he is telling. They aren't offensive in the context of the incredibly lovely art from Fiona Staples, but I fear that it would be dramatically lost in translation. This issue is jam packed with some big revelations, of which the power of King Robot being the most intriguing aspect from my end. In addition to learning more about his empire, Fiona grows in strength and The Will once again tries to save a Lying Cat. 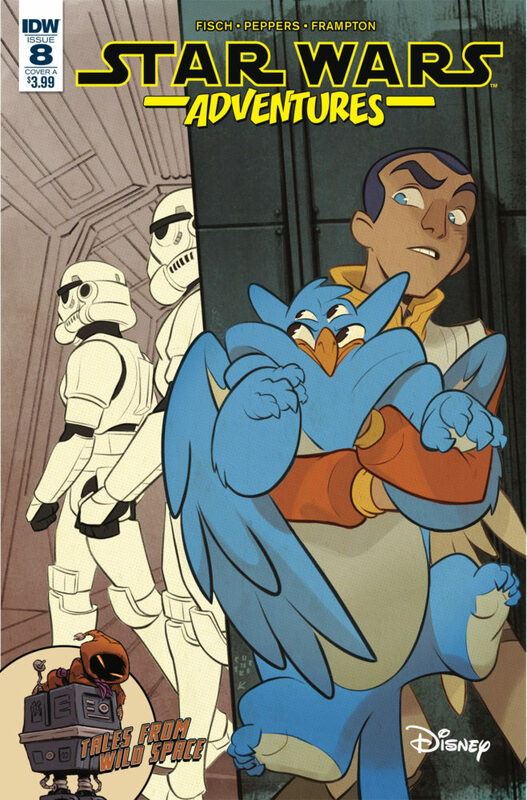 Star Wars Adventures #8 - Last issue's Rebels story reaches a fitting conclusion as Ezra and the rest of the crew are able to free the endangered species that were in possession of the Emperor. Any Rebels story that features Hondo is sure to be a lot of fun and this story would have made a fine episode of the show and demonstrates how the Force binds all species. The "Tales from Wild Space" story about Gonk this week is my favorite in this series. We learn that the Gonk droid that famously broke down thus ensuring that R2D2 made his way to Luke has more of a back story than we originally knew. It is a love story involving a Jawa and is darn cute. This is a must read for the younger Star Wars fans out there. 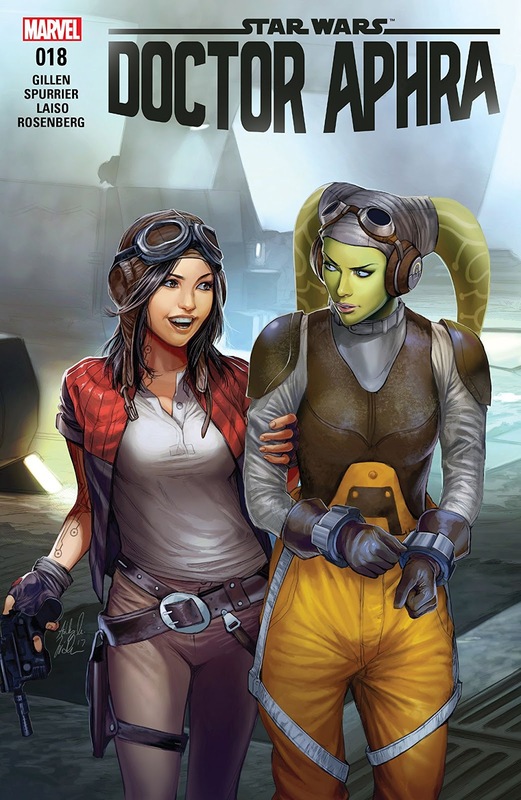 Doctor Aphra #18 - In an attempt to find the lost memories of the psychotic droid Triple-Zero, Dr. Aphra used the Jedi Hera as bait in order to board a base that is filled with some of the worst in the galaxy in a temporary frozen state. We are talking some of Jabba's worst thugs, a Wookiee with a rail gun and more. Using the help of her new special lady friend, Aphra wakes up the creatures on the base and it doesn't exactly go according to plan. This series has taken an interesting turn and there are a lot of elements I really like, but I am finding the overarching story a bit of a letdown and a bit discombobulated. I will continue to pick it up for the time being though, as I am hopeful it will pick up shortly. Daredevil #600 - We knew that Charles Soule would have big plans for Matt Murdock in issue number 600, but I was not expecting this turn of events. Daredevil is hoping to catch Fisk red handed in a meeting with a collection of crime lords. Not surprisingly, this meeting is a set-up by Fisk and it leads to the arrest of multiple superheros. Not wanting to spoil the rest of the issue, we have a final confrontation between Blindpot and Muse that was shocking and a reappearance of the hand which dips its hands into the political arena that will have repercussions for the future. Daredevil #1 - In honor of issue number 600 for the Man without Fear I thought I would revisit Charles Soule's debut. 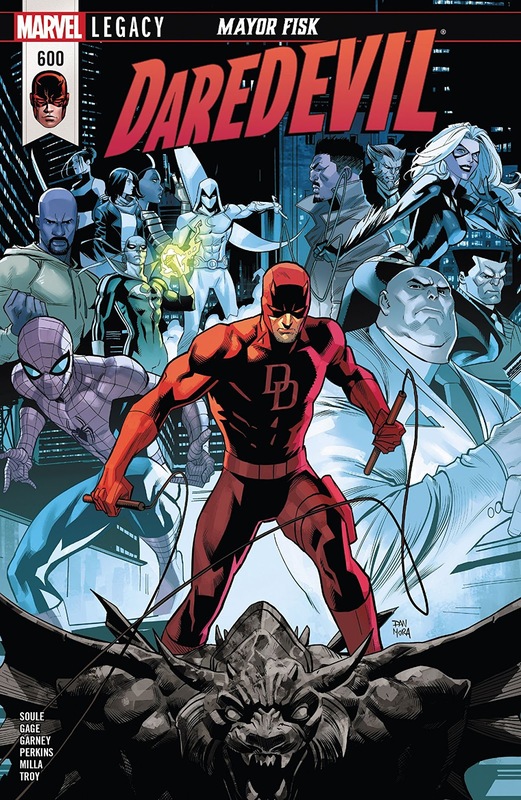 It was a dark new direction Daredevil, who teamed up with a familiar character that would play a huge role in his run. Daredevil teamed up with Blindspot and they were protecting a witness from the crime lord Ten Fingers. This marked a series reboot with Daredevil returning to Hell's Kitchen and regaining his secret identity. It is always odd when the torch is passed, but this debut set up what Soule had planned for Daredevil quite effectively.